Every Seller receives a Public Page to host their discounts. If you don't want to edit your website's HTML, this is a fast way to get started. Share the link on your website, e-mail or social media. Your public page contains no distractions—we verify your customer and send them back with a Discount Code. Some platforms add this script automatically. Refer to the instructions inside your app or plugin. We're excited to offer a 10% First Responder Discount! 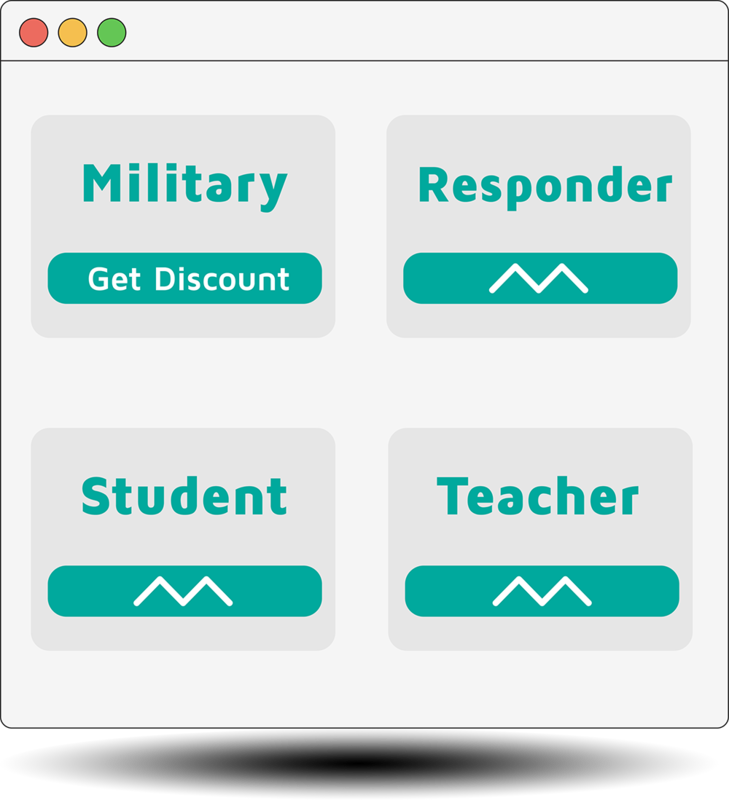 We're excited to offer a <a class="idd_fir">10% First Responder Discount</a>! For Sellers who aren't using Discount Codes, modify what happens before and after verification with the JS-SDK. How we verify them, who's eligible, and why businesses offer this kind of exclusive discount.